Tap-Off is a specialist supplier and installer of Prepaid Water Sub-Meters for all forms of properties. All of our meters have the additional ability to load water limitation software if so required. We also specialise in setting daily/monthly limits onto your current Water Meter Devices. There is no restriction on the number of meters we can install per property, unlike Council and Eskom. Tap-Off is your solution for letting of residential homes, cottages, flats, multiple unit complexes, industrial and commercial properties. Tap-Off supplies and installs water meter in Cape Town and Johannesburg and their surrounds. 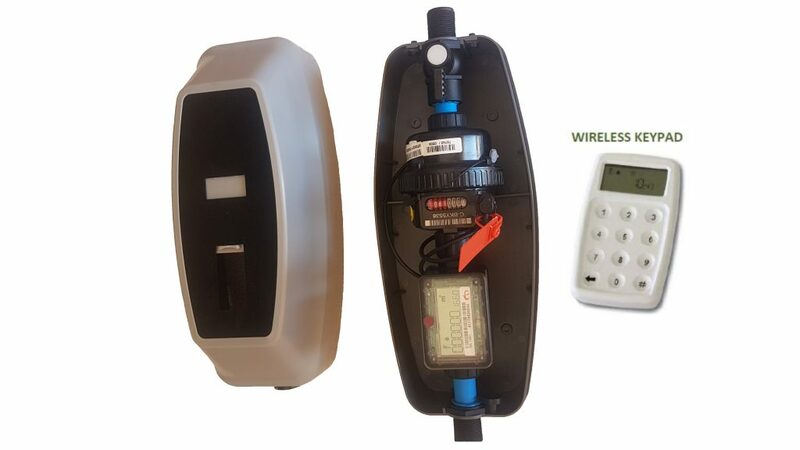 Our Prepaid Sub Water Meters, which can be programmed with Daily consumption Limits which is ideal for the water conscious Landlord and Body Corp. Thus curtailing of water abuse in their properties. Therefore, in addition to recovering the cost of the Water usage, you are also able to prevent the overuse of our valuable water resources. Collect your tenant’s electricity and water in advance with Prepaid Water Meters. Tap-Off’s Water sub-Meters do not replace council meters. Our meters work on a sub-meter basis which is ideally suited for landlords, Body Corporates, and property management agents.